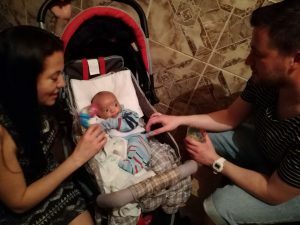 Our lovely volunteer Rose paid a brief visit home to to introduce her ‘amor’ Anthony to her family and friends in Brazil. Here they saying ‘Hello’ to the newest member of family. Rose is coming to the end of her volunteer placement in Newcastle where she has worked with the young and not so young in the community.